GRIT- Winner 2016 Eran Svigos Award for Best Visual Art Exhibition at Fringe Festival! Very excited to announce that my work 'Bear Leader Briefing' was this years winner of the Mark Butler MP Art Prize. Congratulations also to Mark Baldock and Nancy Forrester, fellow place winners in the same category and all award recipients! 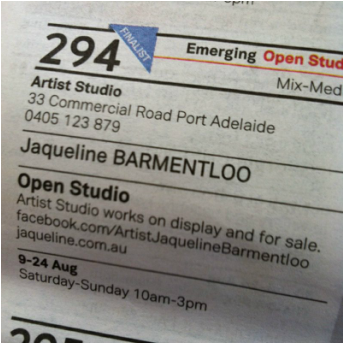 A big thank you to Mark and his staff for this initiative now in it's 8th year and to the venue hosts of the awards last night; Jackalope Studio Gallery in Port Adelaide. 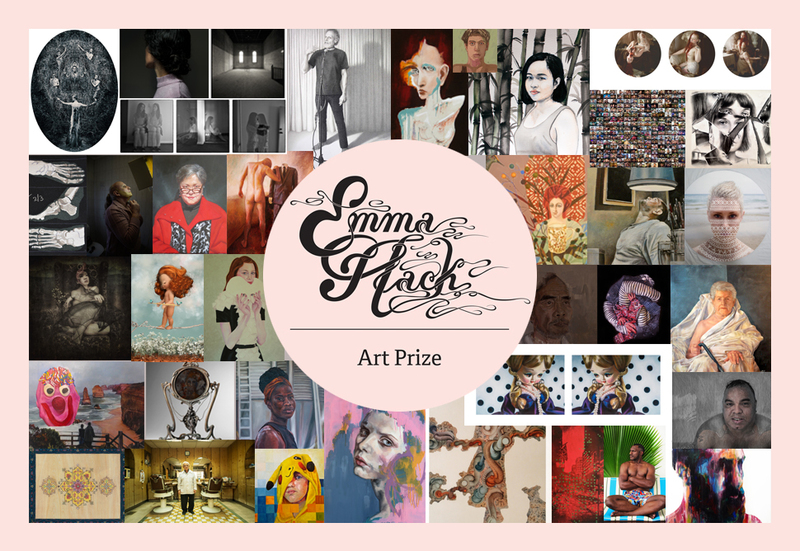 Finalist Emma Hack Art Prize 2015! So excited to announce that my work has been selected as a finalist for this years Emma Hack Art Prize! 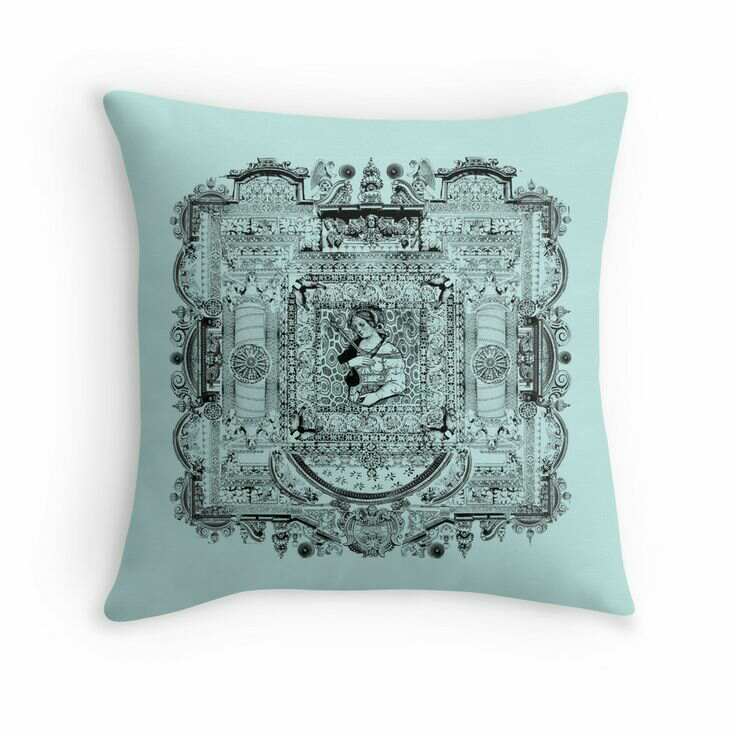 New throw cushions and tote bags available on my Redbubble site! 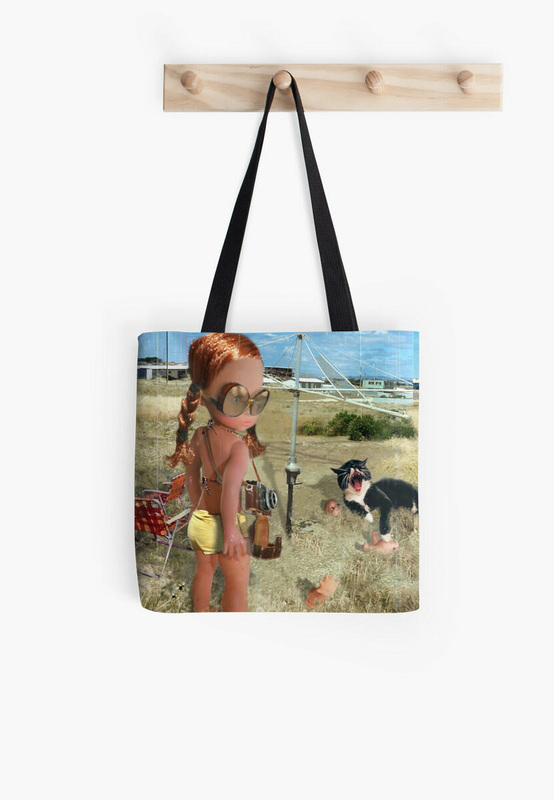 For more information and to see all currently available designs go to 'Tote Bags' or 'Throw Cushions' Page on this site. for orders click "here". 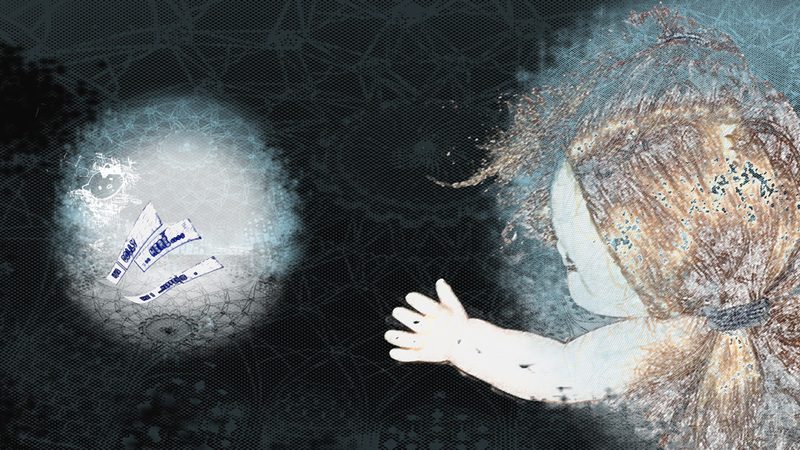 Brand New works on display in my latest exhibition as part of the SHIMMER festival. For more information on this fabulous Festival including other exhibitions and events download a copy of the program 'here' -you'll find Dolly on page 30. 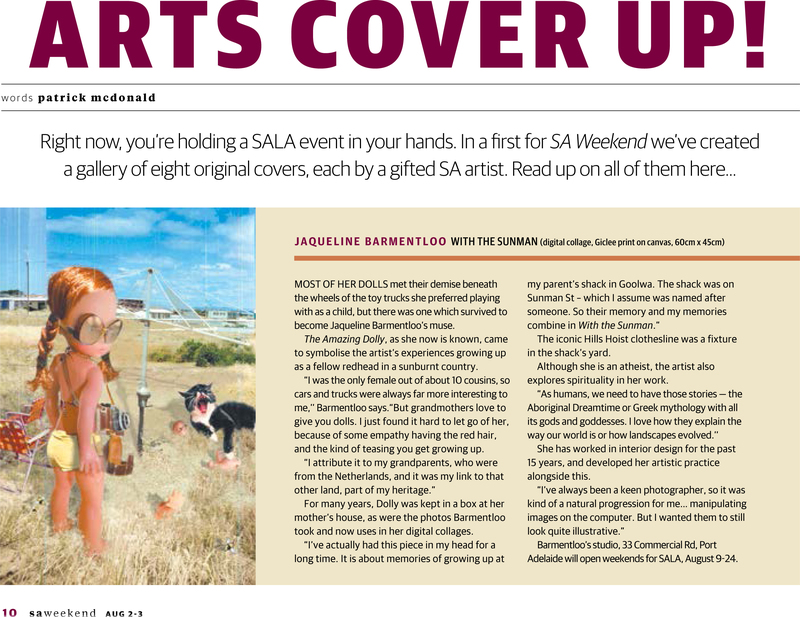 Dolly was featured in Saturday's SA Weekend Magazine, as part of the Advertiser's Cover exhibition. Published Saturday 2nd August! 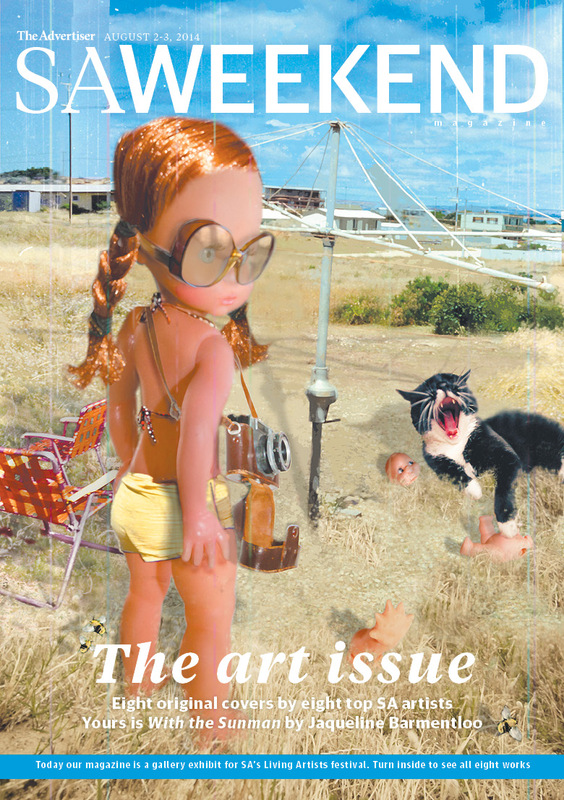 Dolly was among seven other artists works that were printed and randomly distributed throughout the magazine print run on Saturday which has a readership of over 500,000! Her cover image will also be on display at Keith Murdoch House, The Advertiser 31 Waymouth Street, Adelaide from Monday 4th of August. During business hours. Work on display and for sale at my studio during SALA festival. 33 Commercial Road, Port Adelaide. As a result she will be will be part of the exhibition at Keith Murdoch House, The Advertiser 31 Waymouth Street, Adelaide. June 23rd to August 24th. During business hours. 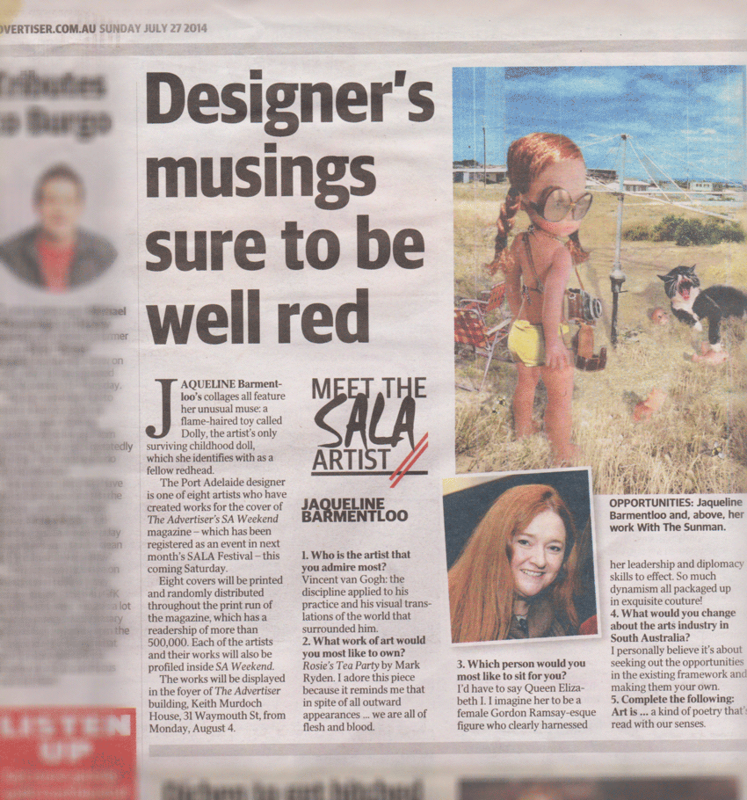 Dolly has been commissioned to be part of The Advertiser's, SA Weekend Magazine, SALA cover exhibition Saturday 2nd August! Dolly will be among seven other artists works that will be printed and randomly distributed throughout the magazine print run which has a readership of over 500,000! Her cover image will also be on display at Keith Murdoch House, The Advertiser 31 Waymouth Street, Adelaide from Monday 4th of August. During business hours. See my latest book below. This is available online now from Blub!